Arts Council England works to achieve great art & culture for everyone championing, developing and investing in art & culture to enrich people’s lives. All Hubs are welcome to create a project and work with your partners to do so. To be eligible for the fund, projects must be set up to receive funding into the Hub Lead Organisation’s bank account. We encourage Hub partners to get involved in running the campaign and projects with their communities and to join our training events. Hubs can choose what they want to crowdfund for, and how big they want their campaign target to be. No pledges to projects will be collected from backers until the campaign hits its target, so do ensure your target is achieveable - Spacehive will provide guidance to all projects through training and ongoing support. We are looking for projects that support music education activity for 0-25 year olds in your local area. Projects can support the core and extension roles of Hubs and build on existing activity or they can explore new innovative ideas for supporting children and young people. We welcome projects that support young people's music-making opportunities that Hubs know their local communities will support and need. As well as supporting existing activity, projects could provide an opportunity to raise additional funds that will enable Hubs to trial new ideas, engage new audiences, purchase new instruments and ensure access to music-making for young people who might not otherwise have the opportunities. Through their campaigns Hubs have an opportunity to widen participation, deepen engagement, and ensure they are able to creatively respond to the needs of young people in their areas. When you have an idea for your project, complete this project idea form. Spacehive will be in touch to help you prepare your idea or pick your best one to take forward. The Spacehive team will then support you to create your project page and show you how to pitch to the Our Music Crowd Fund. 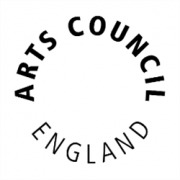 The Arts Council expects to match-fund successful campaigns with 50% of funding, to a maximum of £10,000. Please note that this maximum figure/50% match will only be confirmed once we have seen the number and size of projects that pitch to the fund. By 15 July – All projects must have pitched to the Our Music Crowd Fund (and any other funds available on Spacehive) and have project details fully set up. You will then submit your project for verification - the project costs and necessary permissions will be checked by independent verifiers, Locality (learn more here). By 31 July - The Arts Council will confirm exactly how much you can expect it to pledge against each project. When you project has been verified by Spacehive, you can then set your campaign dates and start crowdfunding. The Arts Council will only pledge the confirmed amount to your project during your live campaign once you hit both 15% of your campaign target and have at least 20 backers. Hubs choose the timings of their campaigns, including soft and hard launch dates, and when to push marketing and comms plans to their communities, but all campaigns must hit their targets and end their campaigns by 2 December. Spacehive will be working with you in the run up to the 15 July deadline to help you pick your best project idea and get it ready for crowdfunding. Workshops will be held during May 2019 to help Hub staff to learn about crowdfunding and to think about the types of projects they will run. Note that in workshop venues where space is limited we may restrict sign-up to one person from each Hub. A list of locations and registration links will be available soon. Following these sessions, Spacehive are on hand to help you refine your ideas, set up your project pages and plan your campaign, including through two webinars in June and July. Hub staff from all Hub partners are welcome to join the workshops and webinars. Do you have an idea for your Hub’s crowdfunding project? Share it using this project idea form, and Spacehive will be in touch. Remember the sooner you share your idea with the Spacehive team, the sooner you can access additional support. Not sure yet? Don’t worry – Spacehive are running workshops and two webinars before you begin crowdfunding to give you all the guidance you need to take part.